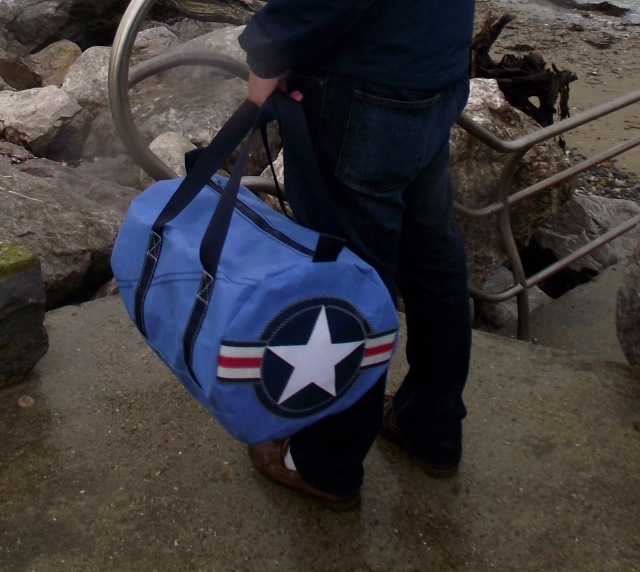 Kit Bags with various nations Air Force emblems on one end. Kit bags made from acrylic canvas in a choice of colour ways, they have a roundel at one end of the bag representing airforces around the world. Choose from the Royal Airforce, French Airforce, Italian Airforce, US Airforce, Russian Airforce, New Zealand Airforce or Canadian Airforce. They are great for teenagers and those who love aircraft. Medium Long: 60cm length x 32cm diameter. 48 litres approx. Large Long Length: 70cm Length x 38cm diameter. 80 litres approx.